Constellation Brands wants to strengthen its appeal to Hispanic drinkers. The distributor of Corona, Modelo Especial, and Pacifico bought Four Corners Brewing last week. Corona President Bill Newlands said Four Corners has been able to capitalize on a hot beer trend: Hispanic-influenced products. Four Corners, a Dallas craft brewer, produces Local Buzz Honey-Rye Golden Ale and El Chingón IPA, among other beers. Buying Four Corners signals Constellation's increased focus on marketing its beer lineup to Hispanic people, one of the fastest-growing segments of the American population. "Our consumer base is often Hispanic, and the Hispanic consumer loves our brands," Newlands said at an analyst conference earlier this year. Hispanic people currently make up more than 17% of beer drinkers, according to data shared by Constellation. The number of Hispanic people entering legal drinking age over the next decade is expected to grow 3% to a total of 46 million. The group is a key demographic for Constellation, accounting for 40% of the company's sales. Wells Fargo analyst Bonnie Herzog said in a research note earlier this month that she believes favorable demographics will continue to benefit the company. Four Corners is the latest in a series of moves Constellation has made to target Hispanic drinkers. Last quarter, it brought Corona Familiar to 10 major Hispanic markets in the United States in 12-ounce bottles. Familiar is off to a strong start, the company said during last month's earnings call. It's also testing Corona Refresca, a flavored malt beverage, in three markets backed by English and Spanish TV ads. Constellation's brands are surging in a changing beer market. The company's shipment volumes grew 8.6% last quarter, while Anheuser-Busch InBev (BUD) and Molson Coors' both fell. 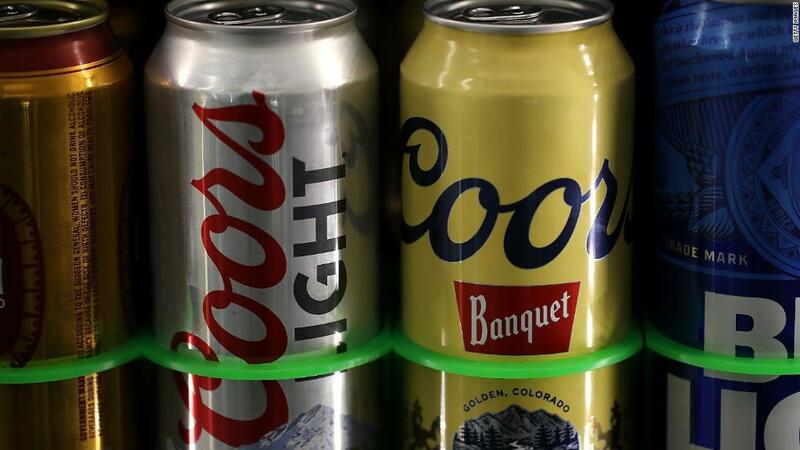 More Americans are losing their taste for Buds and Coors. Imports, craft, flavored malt beverages, and so-called super-premium lines such as Michelob Ultra have been driving growth in the beer market, Paul Hetterich, Constellation's beer division president, said in an interview. "People are looking for points of differentiation and discovering their own brands," he said. The craft industry has also changed over the past two years, too. National craft brands have slowed while local flavors pick up steam. "We stepped back at that point and said, 'What's our strategy?'" Hetterich said. The company landed in Texas, which has a fast-growing craft industry. "We stumbled upon Four Corners. The thing we loved about that was this tie to the Hispanic positioning of the brand," he said. Hetterich expects the beers to appeal to the broader consumer market because of the popularity of Hispanic-themed drinks and foods, and drinkers' desire to experiment with new brands. The companies did not disclose terms of the deal, but Barclays analyst Lauren Lieberman said the acquisition was likely "immaterial" to Constellation, a company with a $41 billion market capitalization.